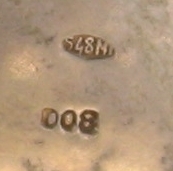 The documentation about this period of Italian silversmithing is extremely scarce and defficult to find. 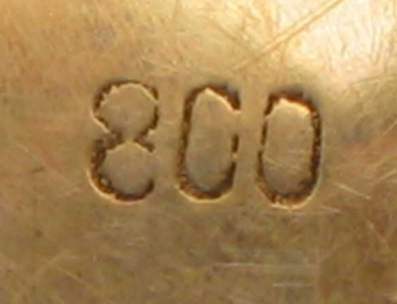 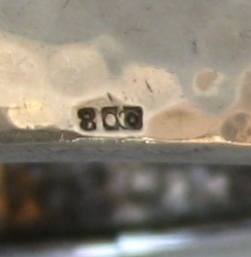 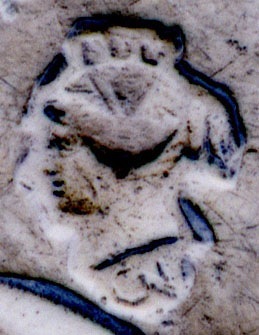 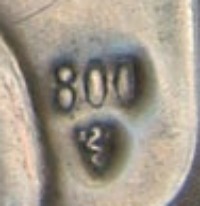 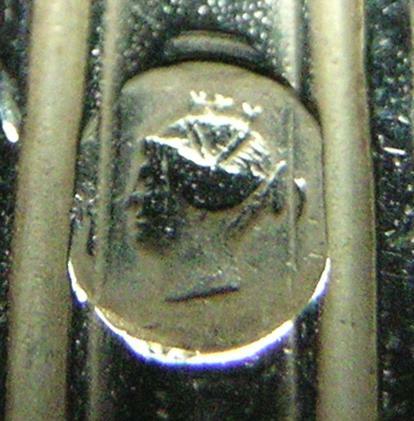 In 1870, with the conquest of Rome and the end of Stato Pontificio (Papal State), Italy attained its unity and a unique system of hallmarking was introduced in the Regno d'Italia (Kingdom of Italy). 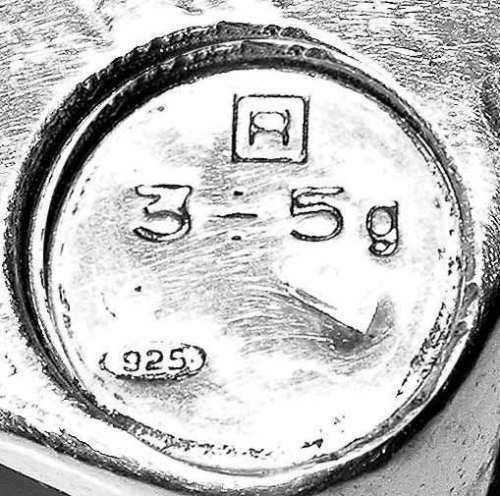 The law 2 May 1872 deregulated silver production and introduced only a not compulsory inspection of silver artifacts. 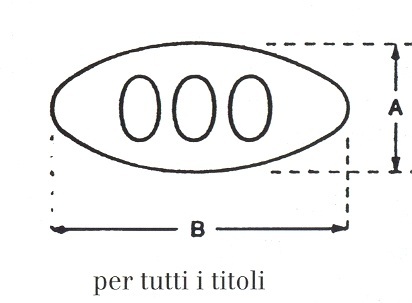 c) In the handles of the knives non metallic substance is allowed without limits of its density, and is allowed to fix the blade with welding in non-precious metal on condition that the handle bears the word "riempito" or the mark "R" within a square and the indication of the weight of the precious metal (in grams and tenths of gram) followed by the symbol "g". In the silver handles with a weight of precious metal inferior or equal to 50 grams the weight may be expressed in approximate manner, using the "R" followed by two figures, separated from the symbol "�" and the letter "g", in which the figures represent, in grams, the minimum and maximum weight of the precious metal: 1�2, 2�3, 3�5, 5�7, 7�10, 10�13, 13�16, 16�20, 20�25, 25�30, 30�35, 35�40, 40�45, 45�50.